The Best Pet Sitting Blogs from thousands of Pet Sitting blogs on the web using search and social metrics. Subscribe to these websites because they are actively working to educate, inspire, and empower their readers with frequent updates and high-quality information. Pet Sitting newsletter is a comprehensive summary of the day's most important blog posts and news articles from the best Pet Sitting websites on the web, and delivered to your email inbox each morning. To subscribe, simply provide us with your email address. Miami, FL About Blog SimplePuppy is an app that connects pet parents with pet care professionals who will treat their pets like family. Whether you have a dog, cat, bird or something more exotic we can help you find somebody to help care for them when you can't. Book Dog Walking, Pet Sitting, Pet Grooming, Veterinarians and other pet services on-demand. Facebook fans 23,750. Twitter followers 19. Scottsdale, AZ About Blog I help pet business owners start or expand their businesses. Focusing on pricing, processes, and work-life balance. Learn about everything you need to know to grow your pet sitting, dog walking, training, and grooming business. Facebook fans 3,420. Twitter followers 2,353. Charlotte, NC About Blog This blog provides timely information on pet care, pet health, and how to live your best life with your dog, cat, or other small pets. Facebook fans 2,969. Twitter followers 860. Charlotte, NC About Blog Little Friends Pet Sitting & Dog Walking provides quality, professional in-home pet sitting & dog walking services in the Charlotte area. Bonded & Insured Pet Care Provider. Facebook fans 1,154. Twitter followers 282. Chicago, IL About Blog Chicago's Premier Dog Walking and Cat Sitting company. Offering private walks, gps tracking, devoted animal lovers and more. Facebook fans 231. Twitter followers 41. About Blog Purrfect Pet Sitting has been providing award winning, professional, in your home pet sitting and dog walking services since 2000. We are bonded & insured for your peace of mind. Facebook fans 1,228. Twitter followers n/a. Tampa, FL About Blog Pets are family, and we want what is best for them. We offer a professional personalized pet sitting experience for all occasions! In home pet sitting and pet coordination for weddings and photo shoots, we are here for all of your pet sitting needs. Facebook fans 2,261. Twitter followers 288. Ohio About Blog Furball Fitness Dog Walking & Pet Care provides reliable and trustworthy dog walking & pet sitting for your fur baby, allowing you to leave the house when you need to while keeping your pet entertained and happy. Facebook fans 1,612. Twitter followers 78. About Blog My name is Maria Alfaro. I have been an animal lover my whole life, beginning with my first cat. My career as a professional pet sitter began in 2001 caring for a few neighbors' pets when they went out of town. so, follow this blog and enjoy the professional service instead of kenneling your pets each time you are away from home. Durham, NC About Blog Professional, insured, bonded and background checked sitters provide in-your-home pet sitting and dog walking services in Durham, NC. Centreville, VA About Blog Check out the Paw Pals Pet Sitting blog. Check back for more informative blogs and guides on topics such as pet care, petting sitting, dog walking and more. Facebook fans 1,578. Twitter followers 31. About Blog In order to educate myself and provide the best service to my clients, I’ve pursued my professional education to become a Certified Dog Trainer, Certified Professional Pet Sitter, Certified Fear Free professional, and have my Certification in Disaster Training for Pets. Facebook fans 3,004. Twitter followers n/a. Las Vegas About Blog Little White Dog Co. offers pet sitting, dog walking, animal massage and more in Las Vegas area. We hope to inspire a love for all animals through IPTouch Massage & Care, Pet Sitting and many other services. Alexandria, Virginia About Blog The weekly blog from Alexandria's most trusted pet service. We write about our pet sitting secrets, dog and cat care, dog walking stories, dog training tips and tricks, and other how-to's for all small household pets. Georgia About Blog - Expert Dog Training, Professional Pet Sitting, Dog Walking & Dog Boarding. Awarded Best of Gwinnett Since 2011. Facebook fans 659. Twitter followers 86. Williamsburg, VA About Blog The latest news from Wagging Tails Dog Walking and Pet Sitting of Hampton Roads, VA. Serving North Suffolk, Chesapeake, Hampton, Newport News, Williamsburg. Metairie, Louisiana About Blog Nonie's Pet Care, LLC is fully insured and is a member of Pet Sitters International. I have an exceptional staff that enjoys pet sitting, pampering and providing you peace of mind while you are away. We have fun with your pets playing games, fetch, hide the toy, etc. Facebook fans 266. Twitter followers n/a. Springfield, MA About Blog AHB Pet & Home Care offers professional, loving pet care. Our services include dog walks, hotel pet care, vacation pet sitting and wedding pet chaperones. The entire AHB Pet & Home Care team is made up of animal lovers who are passionate about the job they do. Facebook fans 504. Twitter followers 44. About Blog Paula's Pet Sitting provides responsible, professional pet sitting and dog walking in Midland, Michigan. We love your pets and treat them as our own. Facebook fans 542. Twitter followers n/a. Charlotte, NC About Blog Hi, I'm Kim and I'm a lifelong dog lover. Dog Walker and Pet Sitter Blog in Charlotte NC serving the greater Southpark area. USA About Blog Waggy Walkys LLC. is a professional Dog Walking and Pet Care company that has been in business since 2002. We pride ourselves on pet safety, thoroughly screened staff, and excellent customer service. Facebook fans 4,985. Twitter followers 783. Ottawa, Ontario About Blog Modern, user-friendly, mobile optimized, fast, and affordable websites for Pet Sitters and Dog Walkers. Barketing Solutions designs websites specifically for professional pet businesses. Monthly plans include: web hosting, support, SEO setup, webmaster management, monitoring, backups, maintenance, and much more. Facebook fans 776. Twitter followers 927. Allen Park, MI About Blog We are here to help you find a personal solution to your pet care needs. From potty breaks and dog walking to full service pet sitting, we provide our clients with professional services for peace of mind with a focus on long term relationships. Facebook fans 674. Twitter followers 51. About Blog I know what I look for in a pet sitter, and I strive to provide the same high level of service for my own clients. I am a member of the professional pet sitter’s association, Pet Sitters International, and have achieved their elite designation of Certified Professional Pet Sitter (CPPS). As of March 14, 2018, I am the only active CPPS in Montreal. Raleigh NC About Blog It's a great peace of mind knowing your pets are on their own normal routines, eating their same food, sleeping in their normal spots & remaining happy at home. Read all about our pet sitting services here on our blog. Facebook fans 1,474. Twitter followers 423. South Bay, CA About Blog Auntie Em's Pet Sitting and Dog Walking provides professional dog walking and pet sitting in Hermosa Beach, Redondo Beach, Manhattan Beach and W. Torrance. Facebook fans 1,537. Twitter followers 219. Facebook fans 541. Twitter followers 5. About Blog Welcome to The Pets' Home blog. We are a pet sitting, dog sitting, dog walking, dog training, pet taxi and in-home pet sitting business in Plainfield, IL. Facebook fans 402. Twitter followers 1. Sacramento, CA About Blog Pawsitive Attention Pet Services is your trusted pet resource in East & North Sacramento. We provide in-your-home pet sitting, dog walking, and much more. Facebook fans 1,435. Twitter followers 2,087. Austin, TX About Blog We are the first-class pet care provider in Austin, Texas. Premier Pet TLC is fully insured & bonded. The Colony, TX About Blog Your solution for professional loving pet care! We know you want the best for your pet and home. You will receive dependable, professional, loving in-home pet care when you use Guardian Pet Sitters. Facebook fans 838. Twitter followers 1,409. About Blog Creature Comforts offers professional pet sitter, dog walker and pet waste removal services for dogs, cats, rodents, birds, reptiles and fish (freshwater, saltwater and ponds). We also specialize in livestock care for horses, goats, alpacas, sheep, chickens and most other barnyard animals. Our service area includes Sierra Vista, Ft. Huachuca, Hereford and Palominas. Facebook fans 573. Twitter followers n/a. Keller, Texas About Blog Blog with a bonded & certified pet sitter. read about protecting your home and beloved pets while you are away. Shelbyville, Kentucky About Blog Welcome Pet Lovers! You have come to the right place for your pet sitting needs! Daily Dog Walking We will come to your home and take your dog(s) out for a walk in the neighborhood! Perfect way to get that extra energy out while their pet parents are at work. Facebook fans 341. Twitter followers 150. About Blog Gina's Family Pet Sitting is a certified and insured pet sitter and dog walker servicing pets in the Fitchburg, MA and Leominster, MA area. Springfield, VA About Blog Making Pet Parenting Easier™ since 2008, The Wag Pack is a fun-loving, pet-spoiling professional pet care company that offers consistently outstanding service to the animals we care for and the humans that love them. Specializing in cats, dogs, and small animals, we are The Best Bet for Your Pet™ because we employ only the most dedicated, caring individuals and train them to be extraordinary pet sitters. Facebook fans 1,442. Twitter followers 194. About Blog Milwaukee Paws Pet Care provides dog walking, pet sitting, and pet transportation in downtown milwaukee and surrounding areas. Insured and Bonded. Certified in pet first aid. Broadview Heights, OH About Blog Especially 4 Paws is a locally owned and operated dog walking and pet sitting business. Since 2003, E4P has been providing award winning services for pets in the comfort of their own homes. Our goal is to keep him/her at ease during your absence. Facebook fans 151. Twitter followers 3. Raleigh, NC About Blog et care for your pet family. Mid-day dog walks, Vacation pet sitting and puppy care serving Brier Creek, Bright Leaf and Leesville areas of Raleigh, NC. Facebook fans 59. Twitter followers n/a. Philadelphia, PA About Blog I'm a dog walker, pet sitter and pet portrait photographer with Fairmount Pet Service in Philadelphia, PA.
Facebook fans 2. Twitter followers 18. Hingham, MA About Blog We pride ourselves on providing you with total peace of mind pet care. You can travel and work guilt free and worry free knowing your pet will get the exercise, love and attention it deserves in the comfort of your home. We use professional Pet Sitting Software with GPS functionality. Facebook fans 430. Twitter followers 29. About Blog Astro Pet Sitters is fully insured and offers professional Pet Sitting and Dog Walking Services available in Brandon, Valrico, Riverview, Seffner, Lithia, Bloomingdale FL (East and West) and Fishhawk (call for additional locations). We care for all breeds of all sizes and are Pet First Aid Certified We welcome the opportunity to serve you and your pets. London, England About Blog The Pet Sitting Club connects all pet owners with petsitters and other pet services on demand. Facebook fans 5,169. Twitter followers 183. Encinitas, CA About Blog Claws and Paws Pet Sitting Service provides loving, experienced pet care in the comfort of your own home. We are licensed , and serve the North County San Diego towns. Facebook fans 364. Twitter followers 60. About Blog Paws & Whiskers offers exceptional, one-on-one dog walking services for your pampered pooch. We also care for your dog or cat while you are at work or away. Melbourne, Victoria About Blog Pet Stays assists pet owners to find a trusted local pet sitter when they go away or even for pet daycare and walks. Offering peace of mind for your extended pet family, 24/7 customer service and we may even send photos of your pet on request. Facebook fans 416. Twitter followers 61. About Blog Pet Sitting services in the comfort of your own home and dog walking. Serving Mesa, Gilbert, Queen Creek and Apache Junction, Arizona. Our sitters are animal lovers! Our sitters will make sure that your pets are loved and cared for in your absence. We are Pet CPR and First Aid certified and we are insured and bonded. About Blog I run Saye Pet Sitting, an at-your-own-home pet care service. I live in beautiful Bothell, WA, north of Seattle. Even if you are not on a trip, your pet can be cared for during a long day at the office. About Blog If you are looking for a mature, reliable, flexible and extremely competent couple to look after your home and pets, look no further. Follow this Blog to get in touch with us and hire a professional to look after your pets and house. Facebook fans 215. Twitter followers n/a. 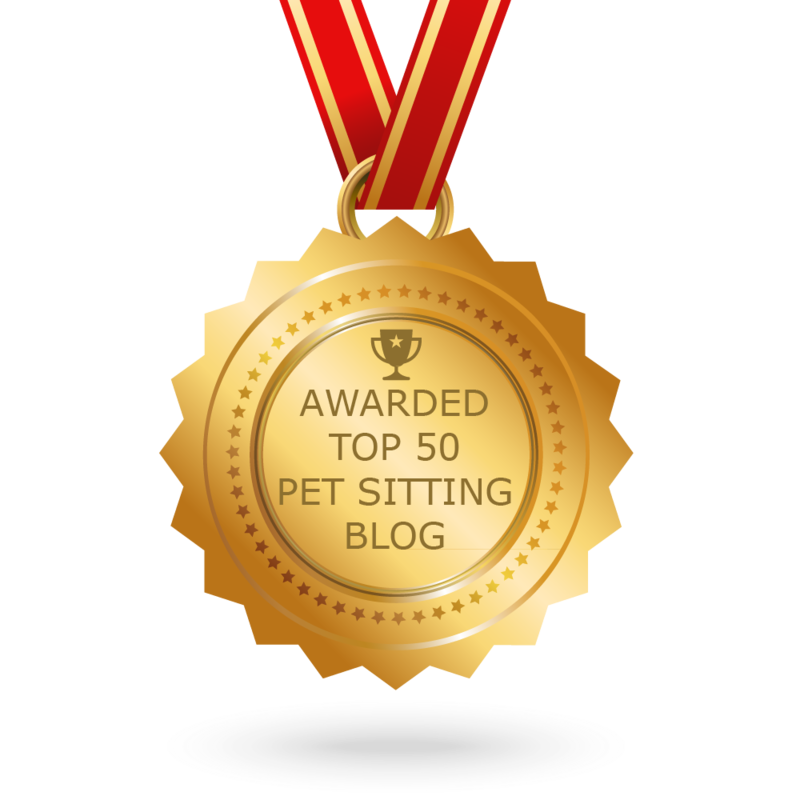 CONGRATULATIONS to every blogger that has made this Top Pet Sitting Blogs list! This is the most comprehensive list of best Pet Sitting blogs on the internet and I’m honoured to have you as part of this! I personally give you a high-five and want to thank you for your contribution to this world.